Medical students gathered at MATTER, a healthcare technology incubator, for the first of a six-part series on entrepreneurship in medicine. A new program aims to incite enthusiasm for innovation among medical students, provide exposure to entrepreneurial opportunities and further educate future physicians on the business side of medicine. 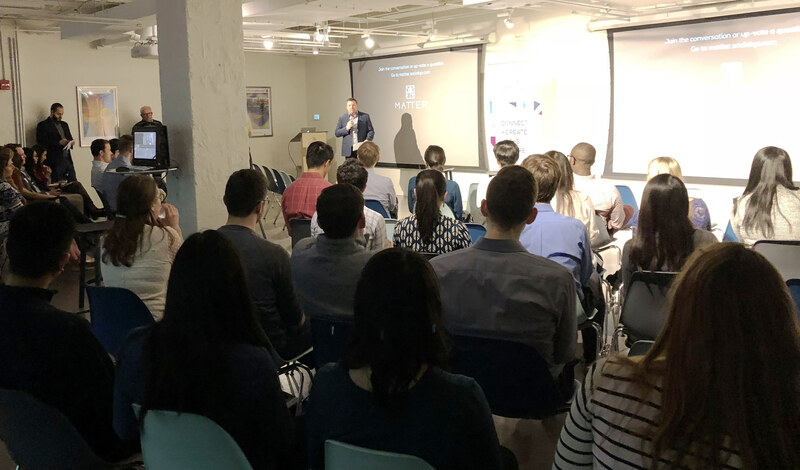 The six-part evening series, open to all medical students, is a collaboration between Feinberg, the American Medical Association and MATTER, a healthcare technology incubator in Chicago. The first event, held in February, showcased two medical students’ journeys into entrepreneurship, while the second event, to be held April 10, will provide students with an overview of the U.S. healthcare landscape. 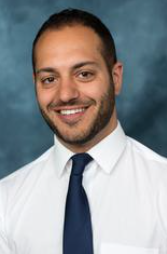 Marcelo Malakooti, MD, assistant professor of Pediatrics in the Division of Critical Care and director of NUvention Medical at Feinberg, helped launch the new program. The series is the brainchild of Malakooti, along with James Kelly, ’73 MD, ’07 MBA, president of the Medical Alumni Board and Marianne Green, MD, Raymond H. Curry Professor and senior associate dean for Medical Education. During the dinner presentations, students hear success stories from physicians and industry leaders first-hand, familiarize themselves with terminology, concepts and processes that they may not yet have been exposed to, connect with entrepreneurs, and learn how to harness entrepreneurial ambitions. At the first event, attendees heard from two Feinberg students with growing entrepreneurial careers: Tyler Wanke, the CEO of Innoblative, a medical device company focused on the treatment of early stage breast cancer, who co-invented the original technology while at Feinberg and also earned an MBA from Northwestern’s Kellogg School of Management; and Alexei Mlodinow, the co-founder of Surgical Innovation Associates, a medical device company producing bioabsorbable scaffolds for general and plastic surgery, who also holds an MBA from Kellogg. Giancarlo Atassi, a first-year medical student, attended the first event at MATTER. “For medical students, this is really valuable, because even if you don’t necessarily want to launch a company, the skills that you sharpen through entrepreneurship — like critical thinking, problem-solving and an innovative mindset — are principles that you can apply to any problem in medicine,” Atassi said. Giancarlo Atassi, a first-year medical student, is the president of Second Opinions and of the Medical Innovations and Business Club. This new series isn’t the only way Feinberg students are actively involved in entrepreneurship on campus. 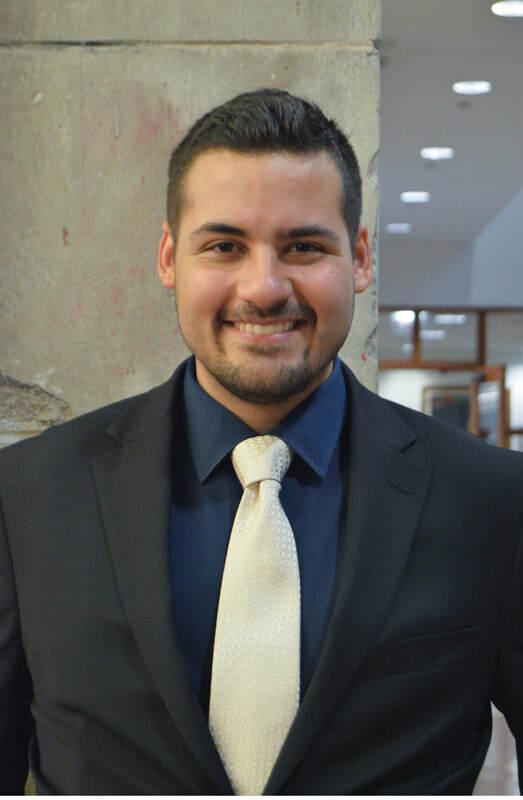 Atassi is also president of Second Opinions, a student-led pro-bono consulting group, and president of the Medical Innovations and Business Club. The club, which raises awareness of entrepreneurship on campus, is also working in conjunction with Northwestern’s law and business schools to create a shared entrepreneurial work space on the Chicago campus, akin to The Garage on the Evanston campus. Atassi also notes that, beyond Feinberg’s core classes in the business of medicine, interest in the dual MD/MBA program and NUvention, an elective for fourth-year medical students, continues to grow each year. The next event in the series will be held Tuesday, April 10 at 6 p.m. at MATTER, 222 W Merchandise Mart Plaza. Register by April 3. For questions about the event or NUvention Medical, e-mail Dr. Malakooti, m-malakooti@northwestern.edu; for Second Opinions or the Medical Innovations and Business Club, e-mail Giancarlo Atassi, giancarlo.atassi@northwestern.edu.